Is there anything better than walking through your front door and being met with a lovely scent that fills your whole house? I love filling the house with different fragrances and making it smell gorgeous. I used to do this with candles or my wax burner but after receiving a new to the market Yankee Candle Scenterpiece, I have been converted! 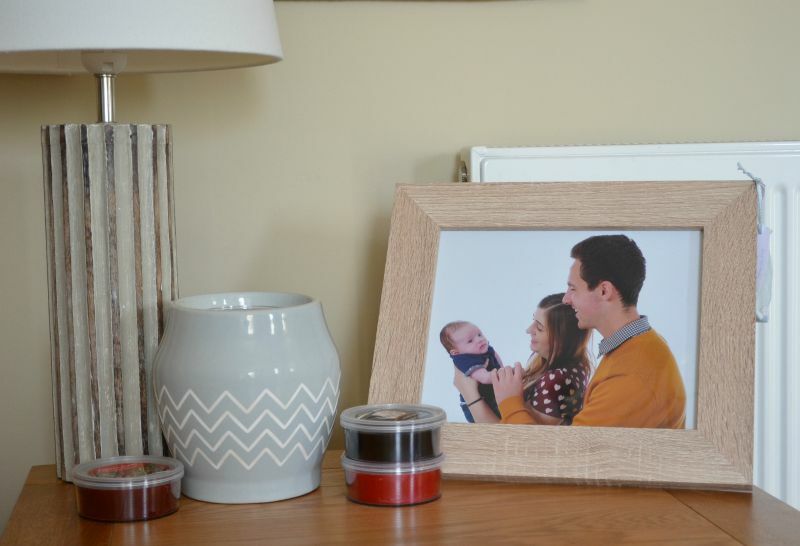 At the moment there are 5 different Scenterpieces to choose from, although it isn’t a huge range there are different colours and designs so there should be something to suit everyone’s decor. 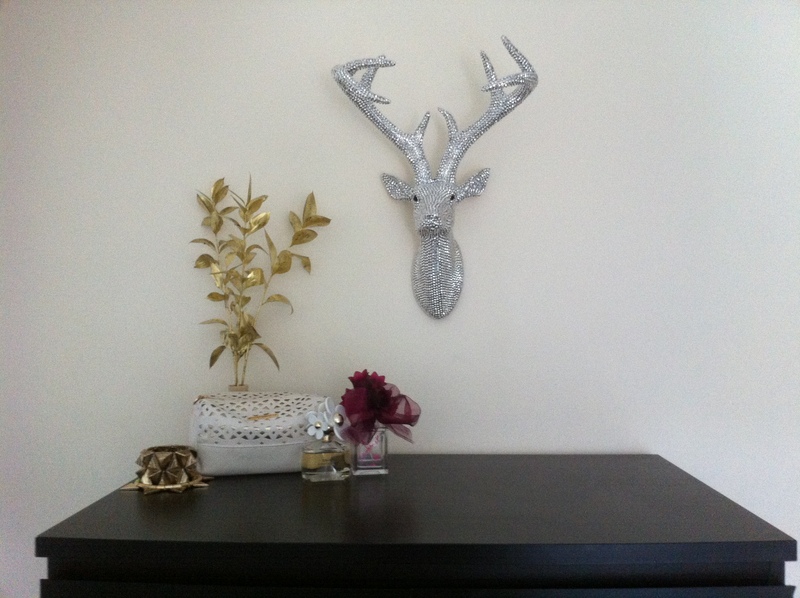 I chose the Robyn UK Scenterpiece, it is a really nice subtle grey colour, it has white zigzags around the centre to break up the colour and looks really modern and classic no matter where it’s placed. As with all Yankee Candle products you know you’re buying a quality product, the Scenterpiece is well made with no marks or imperfections and the fragrance cups all deliver a great scent that travels throughout the whole house and lasts long after the Scenterpiece has been turned off. I love the simplicity of the Scenterpiece, I simply select the scent I want to use, take the lid off and place it into the Scenterpiece dish, switch it on and enjoy the lovely smell that follows. 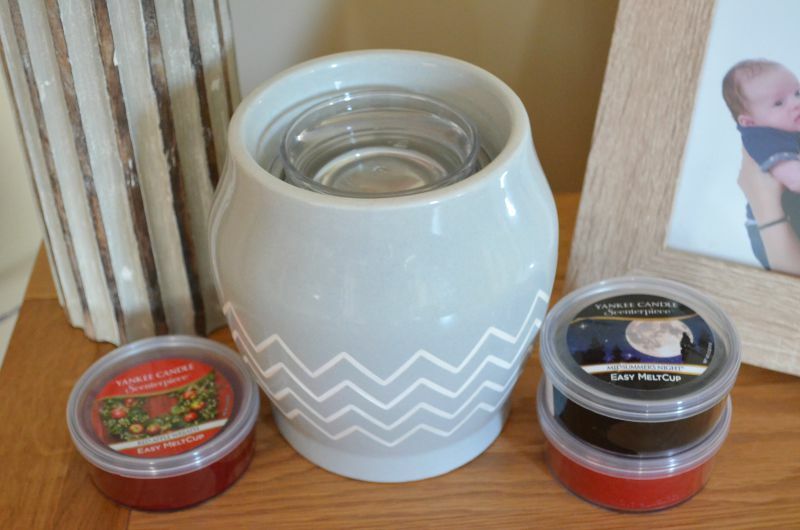 There’s no fuss and no mess, unlike with wax burners where I would have to remove the old wax or wait until it had melted to use a new scent I can simply lift out the Melt Cup and put in another scent. There’s a good selection of Melt Cups available, including some firm favourites, including – Pink Sands, Fluffy Towels and Vanilla Cupcake, there are also some Christmas scents in there too. 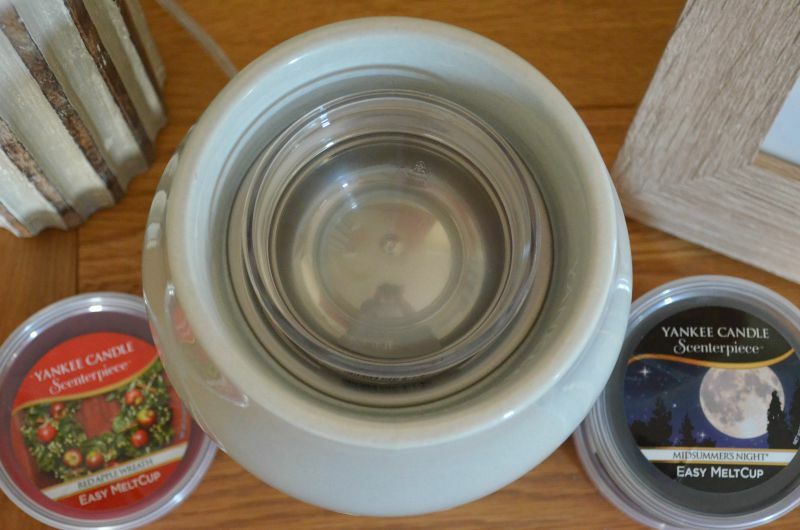 Each melt cup can give up to 24 hours of fragrance and can be re-used until it runs out. If you love Yankee candles this is sure to be a big hit with you, I can see this being on many Christmas wish lists this year and priced at only £29.99 for the Scenterpiece and £4.99 per melt cup it won’t break the bank either.